Malayalam movie Kodathi Samaksham Balan Vakeel has found its way to Tamilrockers, the infamous torrent website. Tamilrockers has become a menace for film production houses and distributors throughout the country, and Dileep’s Kodathi Samaksham Balan Vakeel is its latest victim. This isn’t the first time that a movie has leaked online by the pirated site. 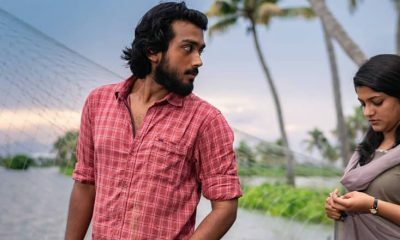 The recent big films like Prithviraj’s Nine, Fahadh Faasil’s Kumbalangi Nights was too leaked online despite the court ordering against it. Kodathi Samaksham Balan Vakeel movie has opened with good reviews. Produced by Viacom 18 Motion Pictures, the film stars Dileep, Mamta Mohandas, Priya Anand and Leena in the lead roles. Akhil George handles the camera and Shameer Muhammed is the editor for the movie. Gopi Sundar and Rahul Raj have been roped in for the music of the movie.